Last night, during the final vote for healthcare reform, Republican Congressman of Texas Randy Neugebauer yelled across the floor at Michigan Democrat Bart Stupak calling him a baby killer.Real classy. 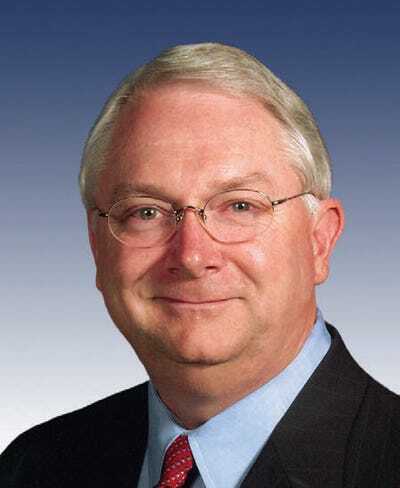 Robert Randolph “Randy” Neugebauer (born December 24, 1949) is a politician from the state of Texas, currently representing the state’s 19th congressional district. The district includes a large swath of West Texas, including Lubbock and Abilene. He was sworn in on June 5, 2003. He is a member of the Republican Party. Neugebauer (pronounced Naw-guh-bow-er) was born in St. Louis, Missouri, and reared in Lubbock. He graduated from Coronado High School and later from Texas Tech University in 1972 with a bachelor of business administration in accounting. Neugebauer has long been involved in the real estate business, having served as president of the development company Lubbock Land before his election to Congress. He was also the president of the state Homebuilders Association from 1996 to 1997.